Click on the arrow below to listen to my Granada radio interview. 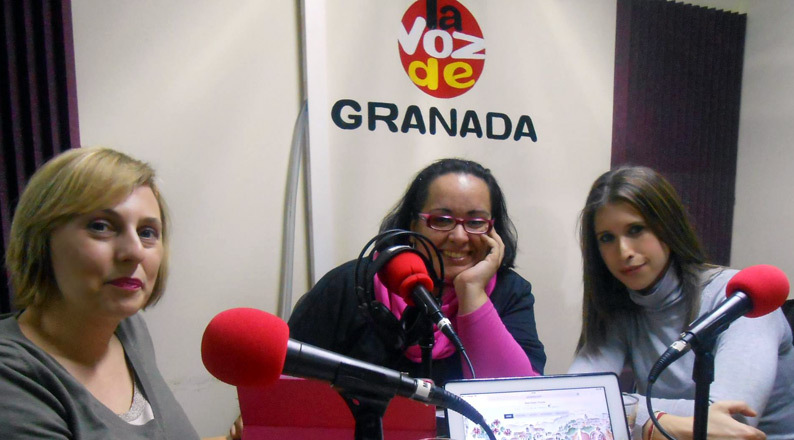 This was recorded Monday 24th November 2014 at La Voz de Granada. The interview is 20 minutes long and is in Spanish. The interview was part of a radio programme on Culture and Technology. We talk about my Spain blog and discuss how some of my readers are from different countries and may read some of my recommendations before planning to visit to the area. I hope you enjoy it! Pulse sobre el reproductor de audio para escuchar la entrevista. El lunes 24 de noviembre me entrevistó @mediamusea en su programa de La Voz de Granada. Cada lunes esta sección trata de Cultura y Tecnología. Hablamos sobre mi blog Piccavey.com y como influye la tecnología en el turismo. Enjoyed listening to the interview, I had forgotten how fast they speak in Andalusia! Luckily she interviewed me in English! May be in Granada in Jan/Feb to do a little bit of research. I´m heading over to listen to the podcast. Brilliant.